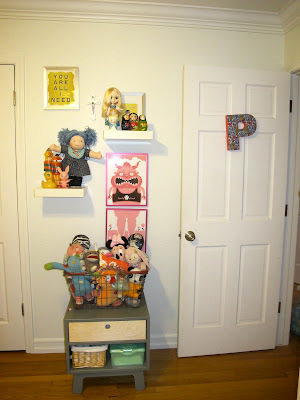 Mar & Bean: Pella&apos;s &apos;big girl&apos; Room. 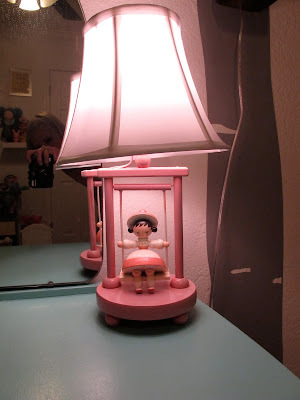 So its official I've transitioned Pellas once gender neutral nursery into a Vintage "kitschy" inspired big girl room! So far the transition has been a piece of cake! She loves her bed. and she now has space to really play with all her toys. If you have questions about various things in her room I'll try my best to respond in the comments. Small world inspired wooden lamp from the 60's bought at an estate sale. 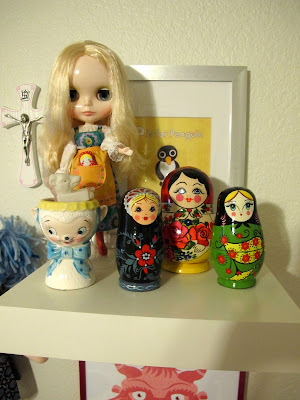 Pella's Blythe doll and nesting doll collection. Marcella this is just a magical room! 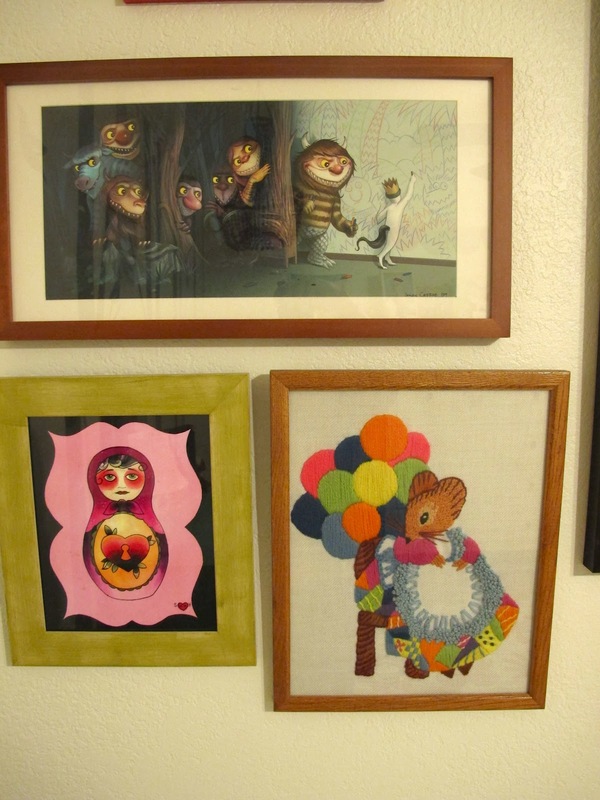 Substance, whimsy, classics...its all there! Great job! wow! 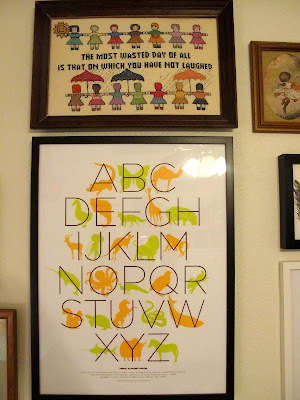 i love this, such a great kids room! I love it! I wish this was MY room! 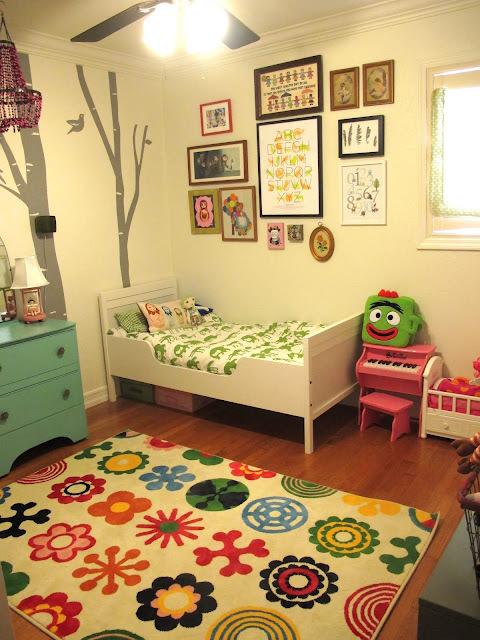 Sweet Room! 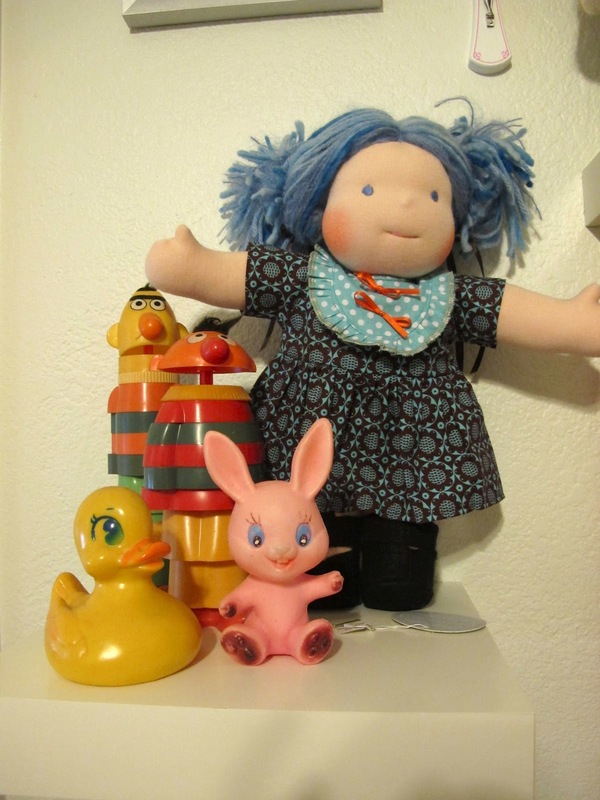 Have you encountered any problems with the transition from crib to bed? My biggest fear when we do so next month is that Moxie will stop taking naps & sleeping at night, because she can get out & play.. So nice! 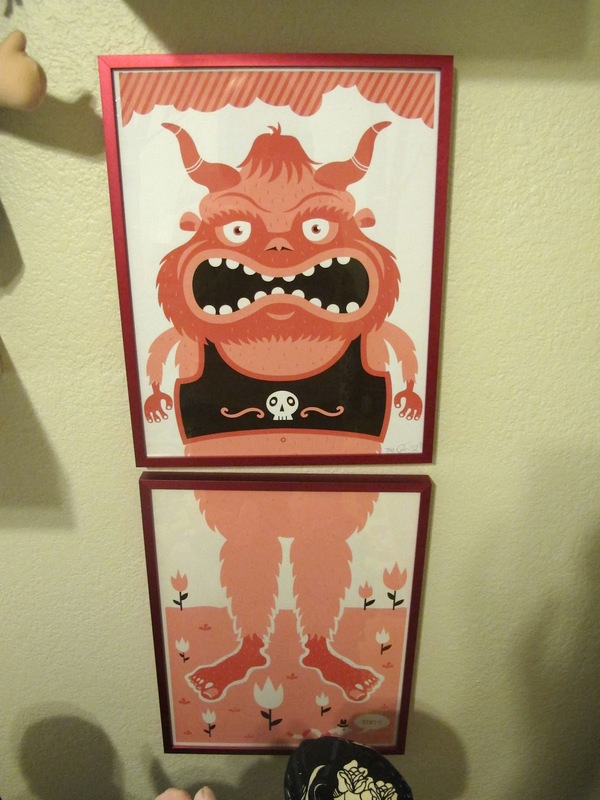 I like the monster print on the wall. 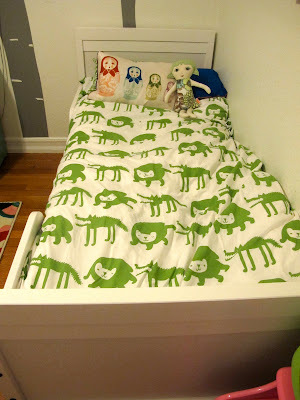 And the bedspread.